In the heat of summer, we look forward to heading down to Martha’s Vineyard for a mini-island getaway. We retreat in West Tisbury where we can frequent the West Tisbury Farmer’s Market, devote each afternoon to discovering a new beach, shop in Vineyard Haven and Edgartown, and split our dinners between either cookouts on the beach or dockside seafood feasts in Menemsha. 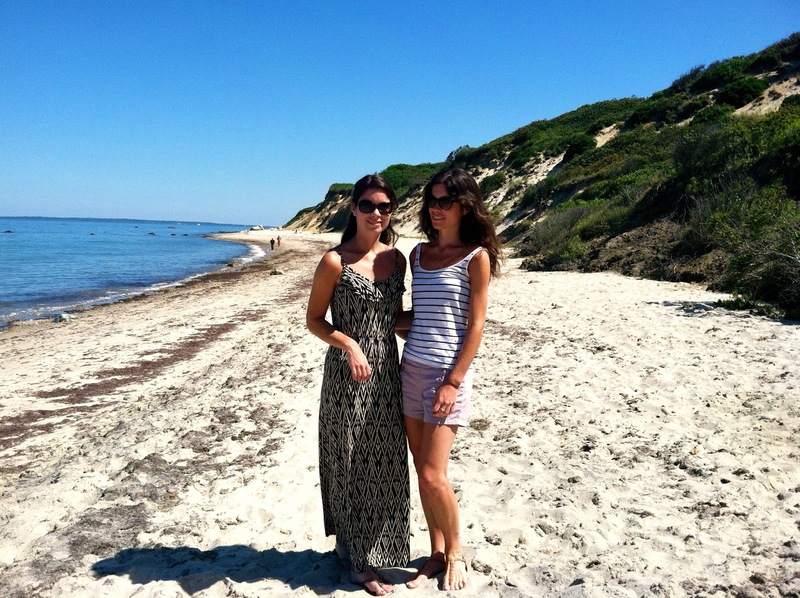 Here are a few of our favorite Martha’s Vineyard moments-all kinds of inspiration for future Twin Tastes posts. 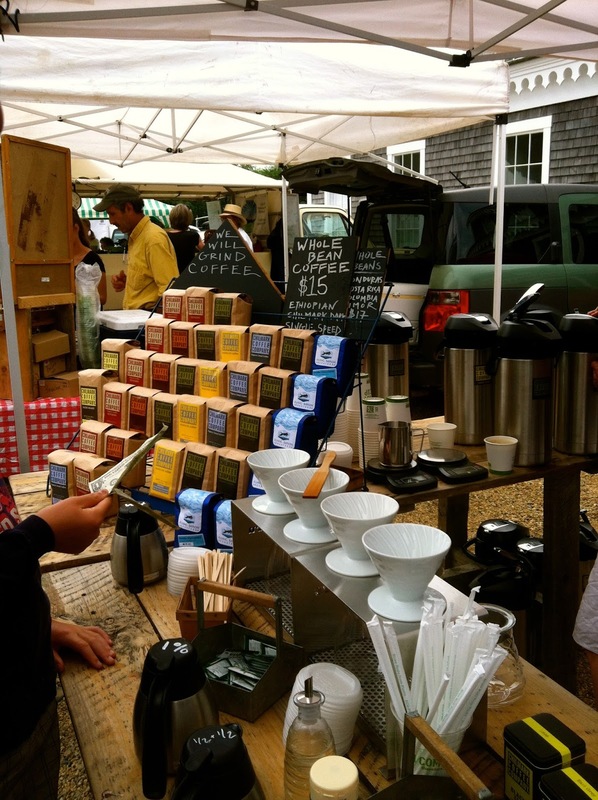 West Tisbury Farmer’s Market- a must on Saturday morning. We nibble and sample our way from stand to stand. 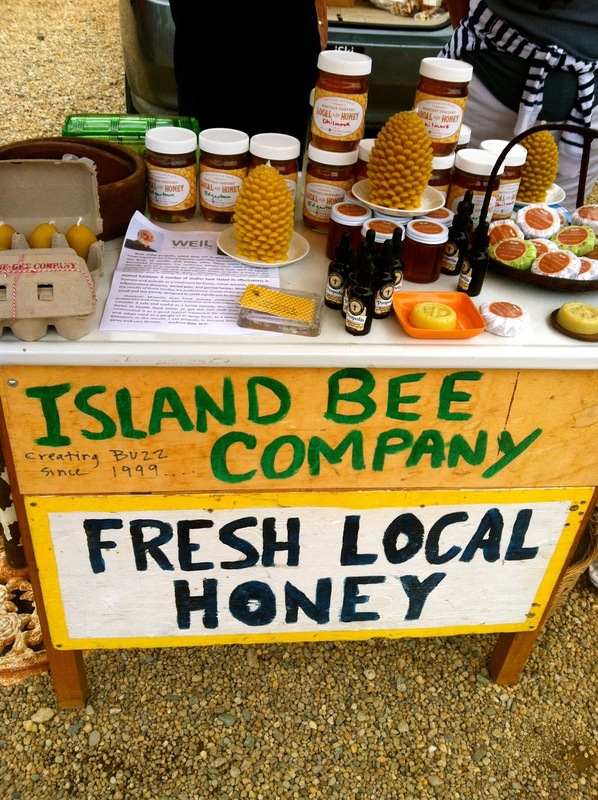 For a pick-me-up we love Chilmark Coffee Company's cold brew, and for a sweet treat, honey from Island Bee Company. Great Rock Bight-our favorite secluded beach find. 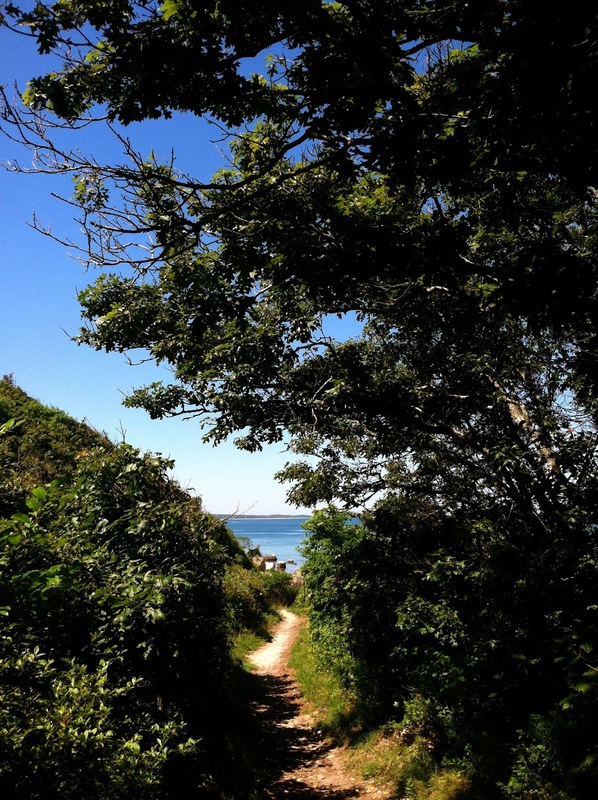 After walking down a long, hilly, wooded pathway, we arrive at a hidden beach. We are in awe of the rich blue water, the coined “Great Rock” in the center of the sea, and a sandy cliff backdrop. We are transported to a rocky beach in the Greek Isles. 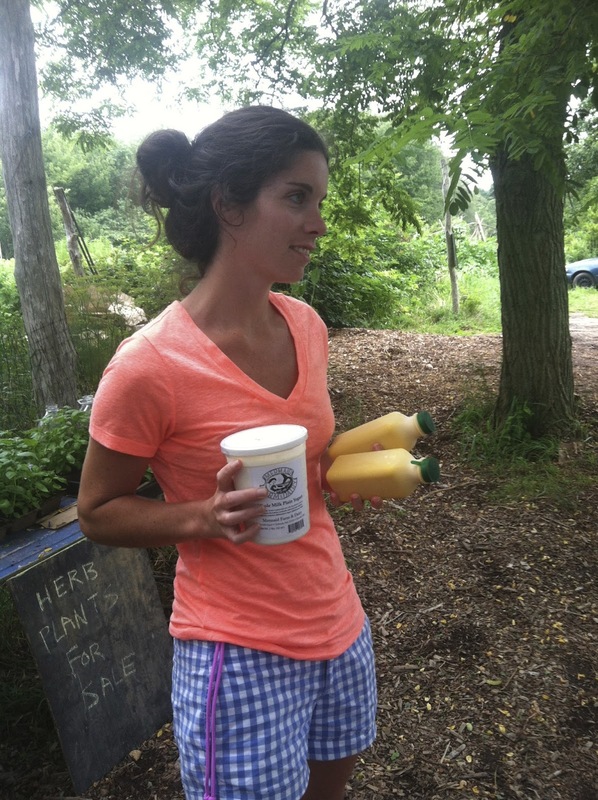 Mermaid Farm-A farm stand selling the best dairy on the island. Our dear friend Jill recommended the hidden gem in Chillmark. Driving up to a tiny, shingled shack, we enter the painted door to find a refrigerator full of homemade yogurt, milk, feta cheese and bottles of mango lassi. The fruity, creamy drinks are a perfect treat as we drive home, brainstorming what to do with the thick yogurt. Inspired by the rocky Mediterranean-style beach at Great Rock Bight, we whip up a Tzatziki for grilled lamb kebabs. Home Port-Freshly caught dockside seafood in Menemsha with a view. As the sun sets, we enjoy driving to Menemsha for fresh grilled swordfish sandwiches, haddock tacos, coleslaw and corn on the cob. Our dad insists that we order some Smoked Bluefish Pate- a favorite dish of ours since we were young. The best way to end a Martha’s Vineyard getaway is a beach-side BBQ. We pack up our car with coolers, beach chairs and grills and head to the beach to meet a mix of friendly faces. At this ultimate potluck dinner, we feast on grilled mussels, striped bass, clam chowder, steak tips and s’mores. 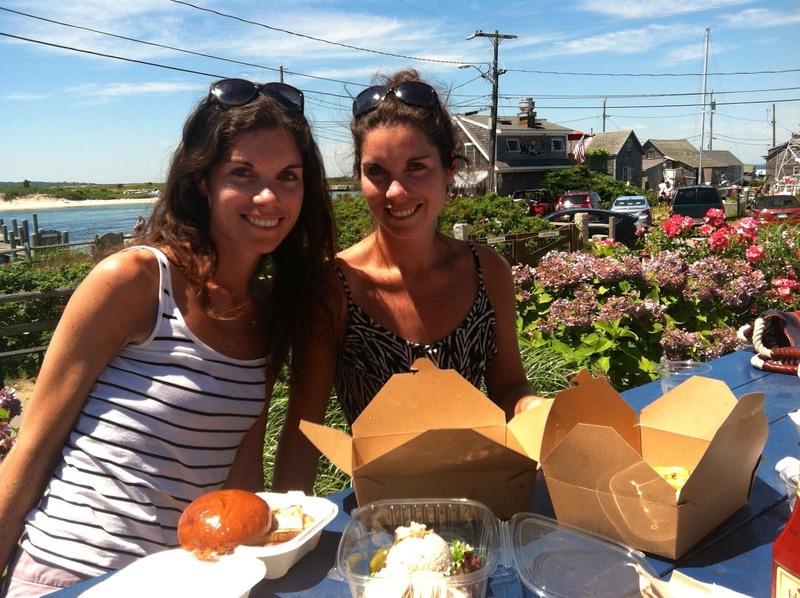 Our Martha’s Vineyard local friends have perfected the art of the beach cookout. Paradise - looks like the perfect escape. And Mermaid Farm sounds like such a hidden gem!